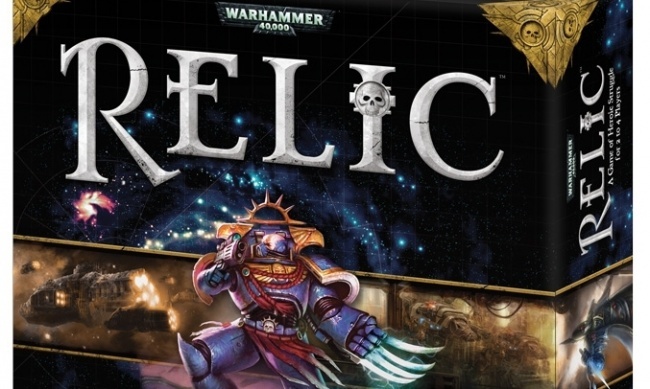 WizKids will release a new version of the Warhammer 40,000 board game Relic in July. 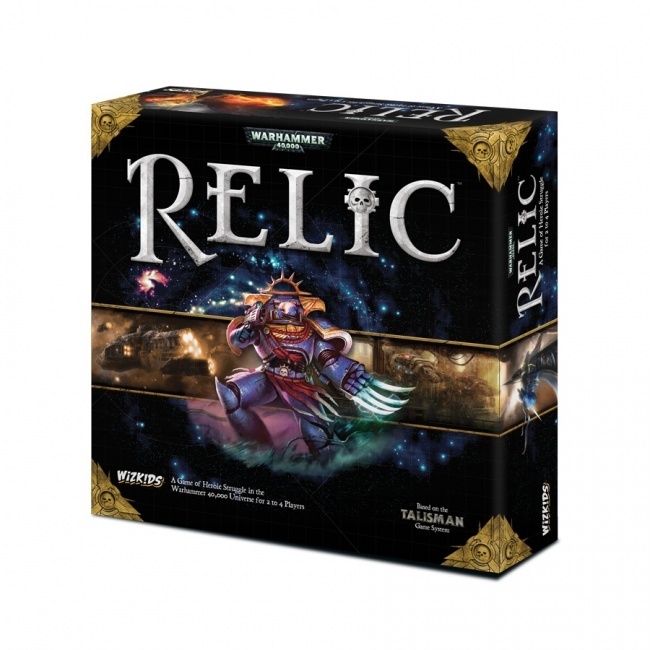 Originally designed by John Godenough (Horus Heresy, Tide of Iron), the game is based on the classic Talisman system which Godenough co-designed with Robert Harris. Each player takes the role of a powerful Warhammer 40,000character and ventures forth to protect the Antain Sector. Completing missions and winning battles ears cha4racters rewards and experience, including mighty artefacts – Relics. Eventually the heroes will confront the major enemy at the center of the board, which could be Kairos Fateweaver, Oracle of Tzeentch, or the enemies controlling the Lost Flagship of St. Antias. WizKids new edition includes improved busts of the ten player characters, and upgraded punchboard player and scenario cards. 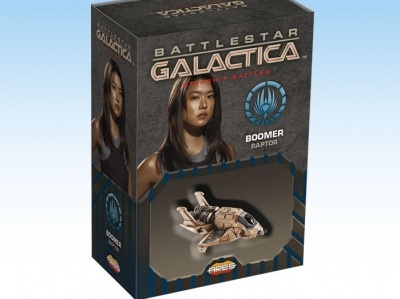 The Standard Edition includes unpainted busts of the characters and has an MSRP of $69.99. The Premium Edition includes highly detailed painted character busts, and has an MSRP of $119.99. The box includes 10 plastic character pieces, 4 plastic character bases, 4 plastic level pegs, 16 dials and plastic dial connectors, 4 six-sided dice, a game board, 150 tokens, 4 character trackers, 10 character boards, 5 scenario boards, 336 cards, and a rulebook. 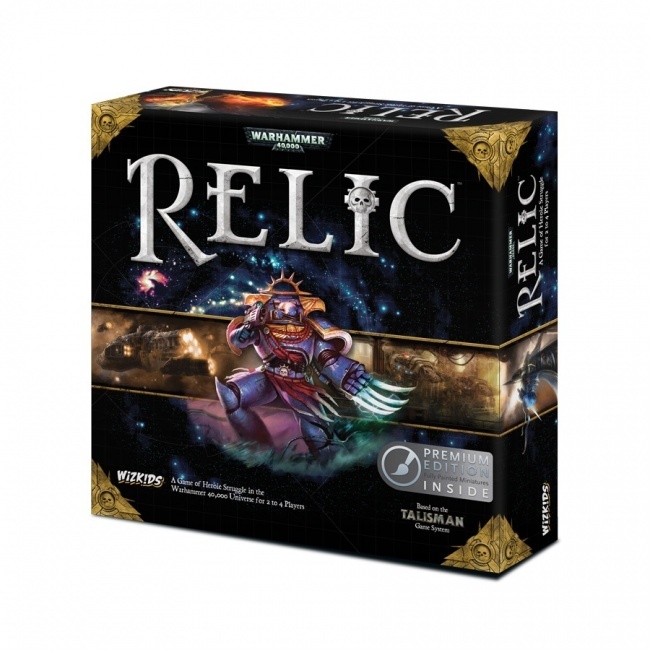 Fantasy Flight Games released Relic in 2013 (see “FFG's 'Relic' Board Game”), and released two expansions for the popular game. 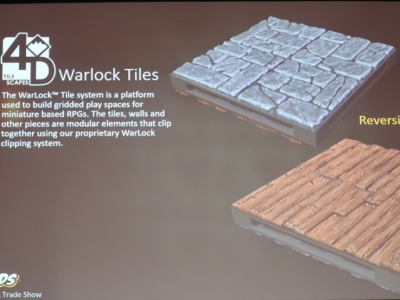 FFG and GW ended their licensing arrangement in 2017 (see “Fantasy Flight, Games Workshop End Licensing Relationship,”) and WizKids stepped in later that same year, with intent to create and revive games based on GW’s Warhammer 40K property, including reviving Relic (see “WizKids, Games Workshop Join Forces”).